Cover to Cover, Just Calistoga! 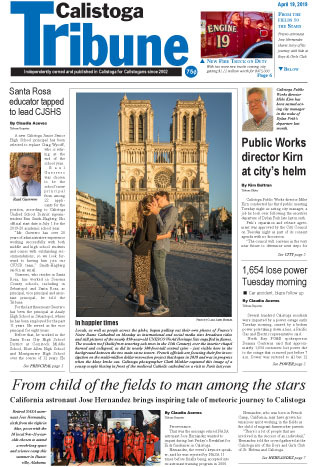 Front Page only - to read the entire Calistoga Tribune online, contact us and we'll set you up as an online subscriber! Not yet an online subscriber? Click here to sign up! We hope you'll like the changes we've made to our website. We look forward to hearing from you as we continue our exploration into the new age of technology.